The whisky is a fusion of three different malts, two distilled in Scotland and a third from Japan. The world’s first Scottish-Japanese whisky has been revealed in Aberdeen. The whisky is a fusion of three different malts, two distilled in Scotland and a third from the Hanyu region of Japan. 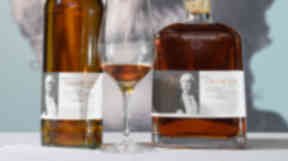 The blend, which will sell for up to £1100 a bottle, was revealed at the Maritime Museum on Monday. It has been named after Thomas Blake Glover, a Victorian industrialist known as the "Scottish Samurai". Glover was born in Aberdeenshire and played a key role in the modernisation of 19th century Japan. Alex Bruce, managing director of Adelphi, the firm which blended The Glover, said: “We wanted the final whisky to present the unique flavours of both casks, but also to be even more than the sum of its parts.